Criminal justice practices such as policing and imprisonment are integral to the creation of racialized experiences in U.S. society. Race as an important category of difference, however, did not arise here with the criminal justice system but rather with the advent of European colonial conquest and the birth of the U.S. racial state. Race and Crime examines how race became a defining feature of the system and why mass incarceration emerged as a new racial management strategy. This book reviews the history of race and criminology and explores the impact of racist colonial legacies on the organization of criminal justice institutions. Using a macrostructural perspective, students will learn to contextualize issues of race, crime, and criminal justice. Race and Crime will help students understand how everyday practices of punishment and surveillance are employed in and through the police, courts, and community to create and shape the geographies of injustice in the United States today. 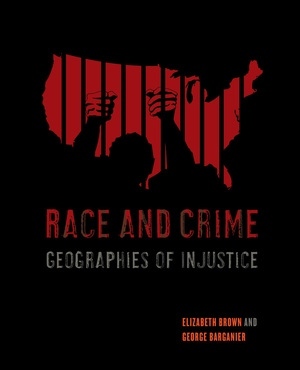 Elizabeth Brown is Professor of Criminal Justice Studies in the School of Public Affairs and Civic Engagement at San Francisco State University. George Barganier is Assistant Professor of Criminal Justice Studies in the School of Public Affairs and Civic Engagement at San Francisco State University.